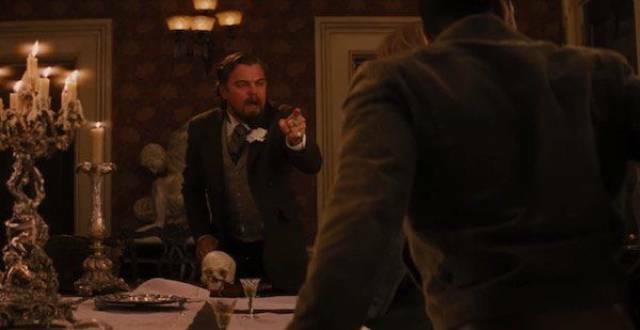 In the scene where Calvin Candie (Leonardo DiCaprio) loses his temper and smashes his hand on the table, DiCaprio accidentally smashed a glass, causing him to bleed profusely. Unperturbed, DiCaprio continued with the scene. Director Quentin Tarantino enjoyed the take so much he kept it in the final cut, incorporating the hand injury into the rest of Candie’s (short) screen life. 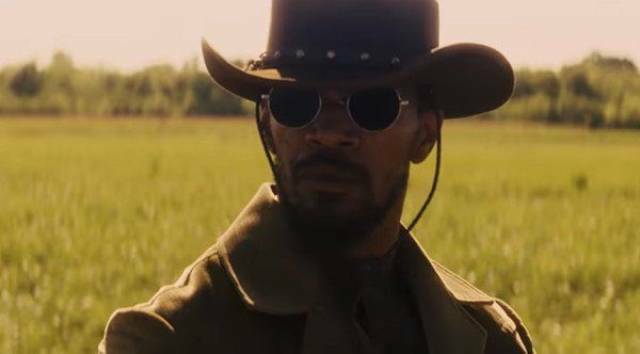 Among many of the film’s (intentional) historical inaccuracies is Django appearing to wear sunglasses. Shaded bifocals didn’t become widely worn until at least the 1920s. Jamie Foxxx used his own horse, Cheetah, in the film. It was a birthday present from 4 years previous. 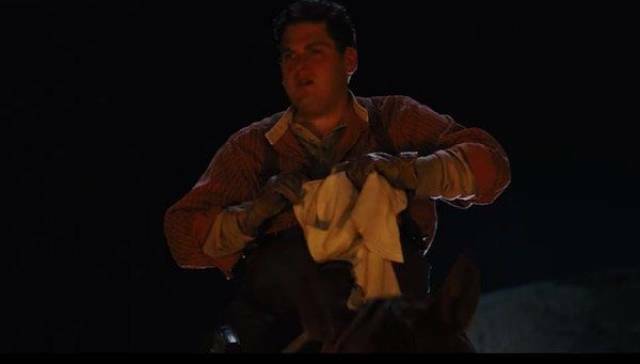 Despite what may seem like the apparently unrealistic friendship between Django and Dr.Schultz, there is evidence of German progressives arriving in the US in the mid-18th century and becoming key players in the anti-slavery movement. 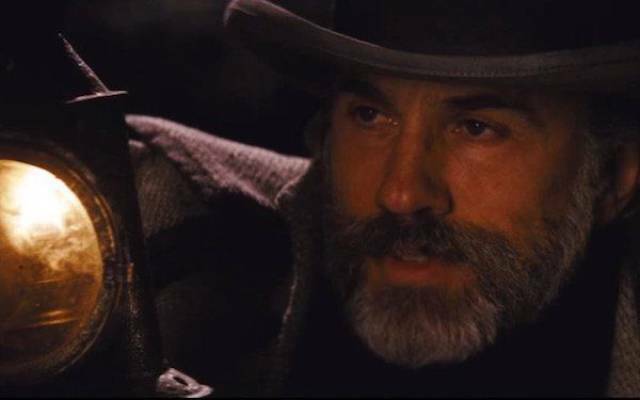 Christoph Waltz, who plays Dr. Schultz, broke his pelvis in a horse accident while training for the film. 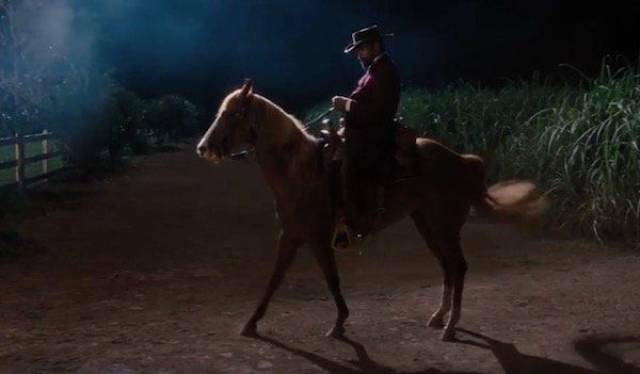 As a get well present Jamie Foxx bought him a new saddle – with a seatbelt. 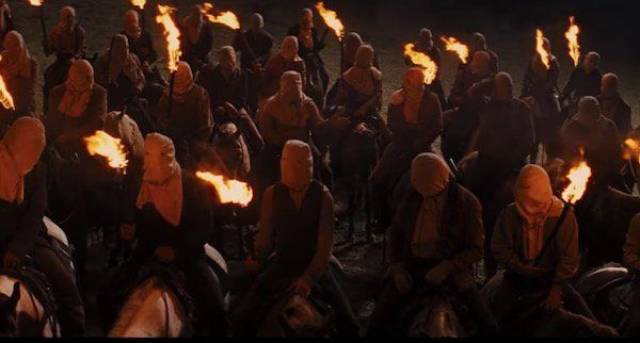 The posse of men in hoods is probably a group known as The Regulators, a forerunner of the KKK. 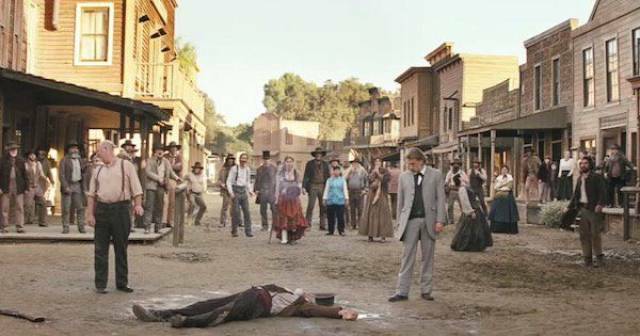 Jonah makes a brief cameo as a member of The Regulators. 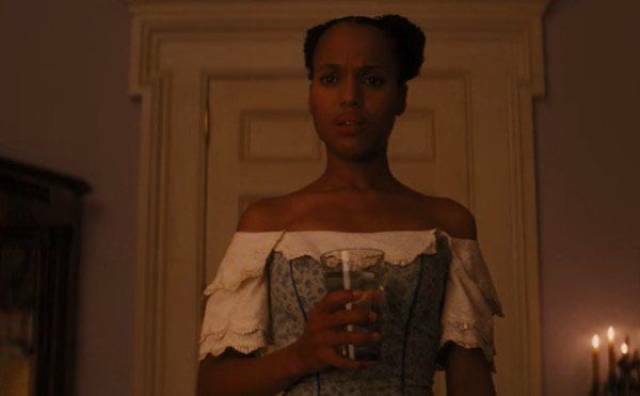 Originally, he was supposed to play a larger role in the film as a character called Scott Harmony, the son of Southern slave traders who would purchase Broomhilda (Kerry Washington) to be his lover. The whole storyline was cut. 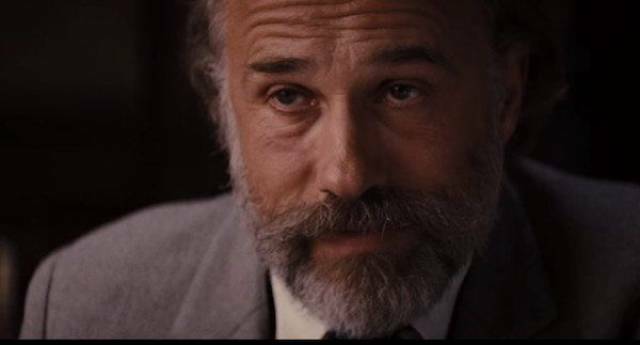 At one hour and six minutes, Christoph Waltz’s screentime is the longest of anybody to ever win an Academy Award for Best Supporting Actor. 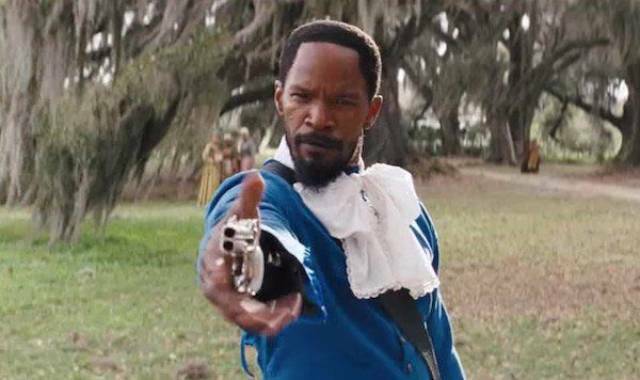 Django’s blue outfit is based on the famous painting ‘The Blue Boy’, by Thomas Gainsborough. 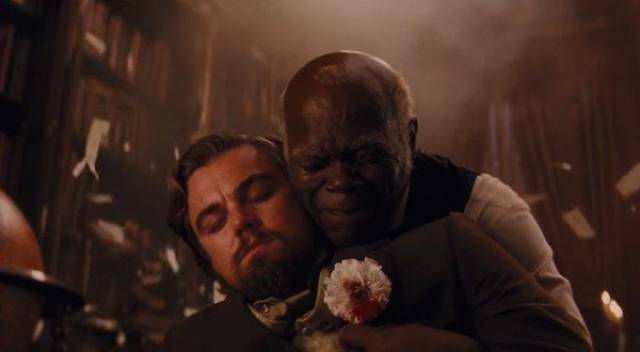 The actor who plays the owner of the slave who fights against the slave owned by Calvin Candie is Frank Nero, who played the eponymous role in 1966’s Django, on which Django Unchained is based. 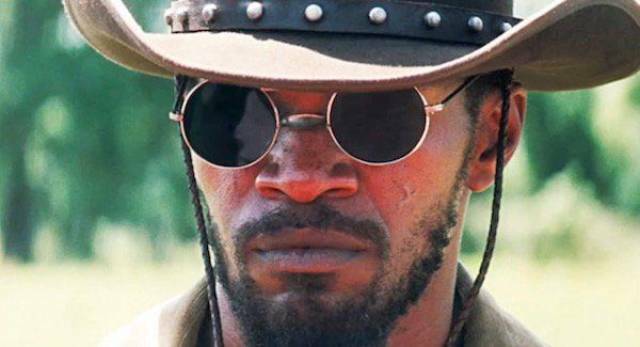 The film 130 days to film, Tarantino’s longest ever production schedule at the time. The $12,000 fee proposed for the purchase of Broomhilda amounts to a staggering $318,000 in today’s money. 69 kills are seen on screen. 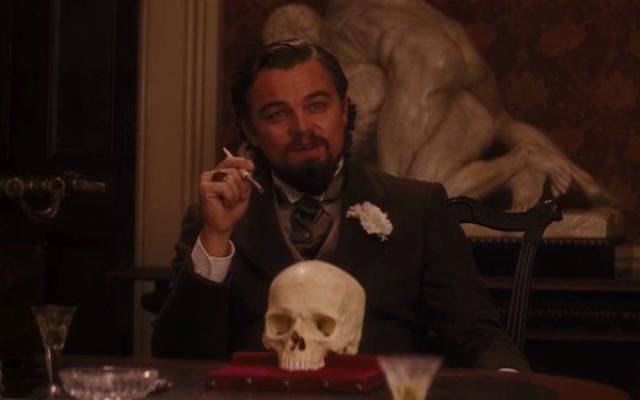 Quentin Tarantino has claimed that Calvin Candie is the only character he has ever written who absolutely despises. 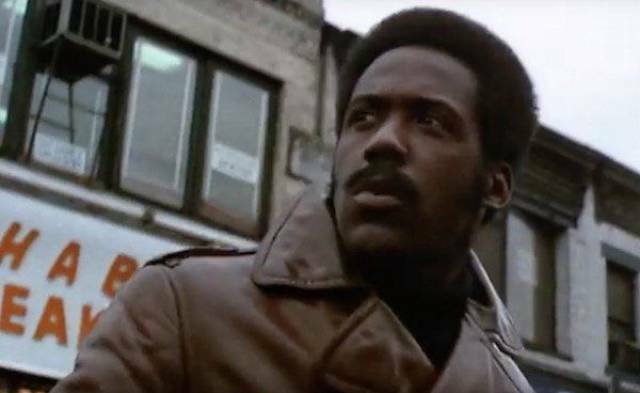 During a Q&A at Comic-Con, Quentin Tarantino revealed that Django and Broomhilda were the ancestors of the character John Shaft from the 1971 film Shaft. This is referenced in Broomhilda’s credited second name: Von Shaft.